Kshibboleth Consultants is a well-recognized name in New Delhi (India) when it comes to booking Volvo bus tickets. If you are planning a road trip or want to travel by bus for any destination, then you should contact us for availing our Volvo bus ticketing services. 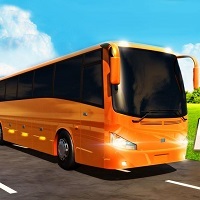 You can book Volvo bus tickets by just providing some of the essential details such as passengerâ��s name, total number of passengers, destination, date & time of departure. Also, we entertain all your travel related queries 24X7.